OKEMUS #0 and #1 is an exciting comic and by the middle of the #0, I was intrigued. It's both action packed and full of mystery. 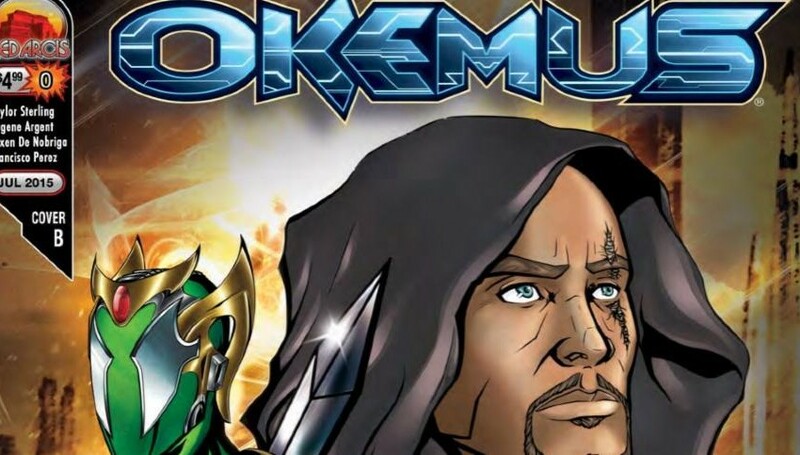 OKEMUS, by Taylor Sterling, is the futuristic, alien-like, superhero comic we’ve all been waiting for. I’m sure there are some others that may be similar, but how many start off where 2016 is the past and end up in the year 3021 with an entirely different world? The protagonist, Cale, lives a normal life in 2016 and to be able to see how different things are in the future is pretty awesome. OKEMUS #0 starts us off in the future. It’s 3021 on a messy form of Earth. Earth has become a desolate shell of its former decadence. Today in reality, our villains are unfortunately other human beings. We don’t have alien-like creatures causing havoc, we have people just like you and me. Cale dealt with his human villains back when it was 2016, but now in the year 3021, his villains are the Mechai. The Mechai are a brutal, powerful sub-species, a mix of man and machine and they are only interested in capturing humans and destroying them. These creatures are dangerous looking. They’re bigger and lack anything that might look somewhat innocent, and I ultimately feel nervous for Cale whenever he gets close to them. I mention humans being villains in 2016 because of what happens in the next issue, #1. As you read on, you’ll see that the humans in Cale’s life are constantly trying to do him harm, as the Mechai do in the future. It doesn’t matter where you go or what time period it is, there will always be someone or something to fight off. Focusing on the Mechai, it’s clear that Cale needs to defeat any that get in his way. While attempting to defeat them and trying to find a normal way to live on what’s left of Earth, Cale’s main journey leads to him trying to find Okemus, a massive city complex only spoken of in whispers. He is one of many that haven’t found it yet, but he hasn’t stopped trying. In reality, we all have one or a handful of goals that we want to reach, but there will always be obstacles. This comic does well with showing the obstacles Cale has to deal with. He dealt with being an outcast as a child because he was an orphan and constantly trying to fit in, he dealt with bullying in college as well as grade school, he dealt with how he can succeed without losing his cool, and now he’s dealing with the Mechai. The one positive thing Cale has is his blade. I’m not aware of how he got it, seeing as issue #0 skipped 105 years into the future. 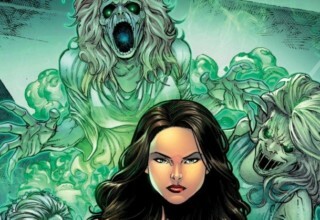 At the beginning of each comic, Sterling gives readers a little taste of what they’re about to read by describing the setting, time period, and what might happen in the comic. This works well, especially when you have a comic that contains one main character and two story lines. Sure, the clothing and scenery would give me a good idea as to what time period it is, but having a little excerpt in the begging to fill me in beforehand sets me up for the story. READ: Villains make everything exciting. Check out LEGENDS OF TOMORROW S2 EP5 review. OKEMUS #1 brings readers back to 2016 in present day Indiana. We meet Cale again, but as a brilliant young geneticist beginning his first year in college at Purdue University. #1 fills us in on how Cale grew up as an orphan that nobody liked. He was picked on in grade school and even in college. He struggled most of his life trying to figure out what was wrong with him and why he was such an outcast. The only person he had by his side from grade school until now is his best friend, Bree. Cale explains her as always strong and always there for him. As we watch Cale get acclimated to college life, we’re introduced to a group of four people who seems to be looking for a specific energy that they can feel. These four look like they came from another planet, as they are dressed in metal-like suits. We know that Cale is some sort of superhero with powers, as we saw in issue #0, but in issue #1 Cale isn’t aware of this yet. Some interesting things happen to Cale while this group is in town. I enjoyed issue #1 a little more than issue #0. Although it’s clear that issue #0 takes place in a different time period, issue #1 takes readers back into the past for Cale, but present day for us. Explaining that Cale is an orphan, showing the struggle he had as a child and how he pushed through and made it to college is a realistic, positive story that everyone likes to read. It shows that he’s just like you and me and that he pushes to get what he wants. #1 is a lot like the beginning of SPIDER-MAN; a young man figuring out that he’s not like other humans and that he somehow has a power within him. I don’t have anything negative to say about OKEMUS #1; it was a good representation of the beginning of Cale’s life as a human and as a superhero. The characterization is well done. I have a clear understanding of who Cale is and why he is the way he is. OKEUMS #1 allowed me to learn about his past and helped me gather information to make his character more relatable. 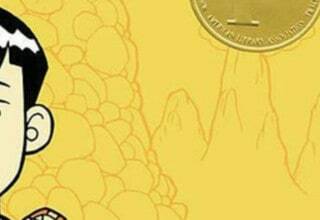 The comic shows the struggles he went through as a young kid as well as a college student. Many of us have been bullied so we can relate to Cale, as well as I’m sure many of us have been nervous about messing up a project in class or have actually went through with messing it up. Cale manages to disappoint the class, and being nervous and feeling mentally defeated is a normal feeling we have all felt or will feel. I’m interested to learn more about his best friend, Bree. She seems to always be at the right place at the right time when it comes to Cale. 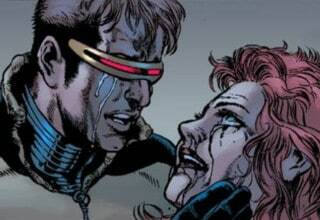 It’s almost like she’s his guardian angel. I hope she comes up more in the rest of the issues. READ: Is Cale an American alien? It sure seems like it. Here’s a review of SUPERMAN AMERICAN ALIEN #7. 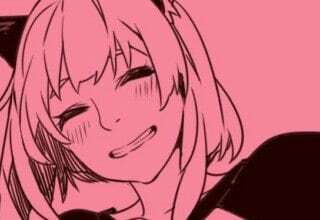 The art is neat, colorful and average. It’s not over the top with amazement, and it’s not bad either. It has a Cartoon Network feel to it. I personally kept thinking about KING OF THE HILL every time I saw a human character. There is a good amount of detail. For example, the human body is portrayed well and not one muscle is out of place or missing and the monsters are drawn to complete, terrifying, perfection. Still, the art is pretty average. For a new comic, the writers and artists have the opportunity to create something from scratch, and I would have gotten more creative with the art. Possibly a different body shape, or even bolder colors. 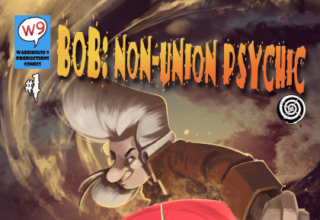 For example, the artwork in BOB: NON-UNION PSYCHIC is very unique and fun. OKEMUS #0 and #1 are great starts to Cale’s journey. 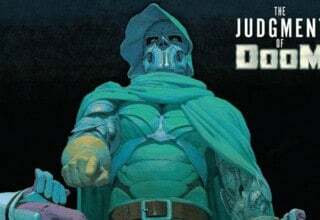 A comic that includes the same character with his story in the past and the present is interesting and allows for a lot of opportunity within the plot. Whatever happens to Cale in the past is why he is where he is in the present. It’s a story that kind of explores the saying “Everything happens for a reason,” and that creativity keeps the story more interesting than it already is to begin with. 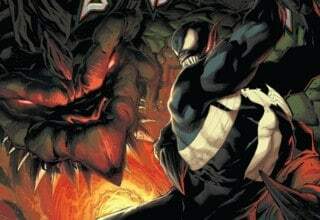 It would be cool to see Cale use his memory of his bullies to make him stronger while fighting the Mechai and any other villain that gets in his way. There’s a lot that can be done with this story, and I’m interested in finding out how he got the blade and how he’s still alive and well 105 years after college. I’m ready to step into 3021 and see what happens next.